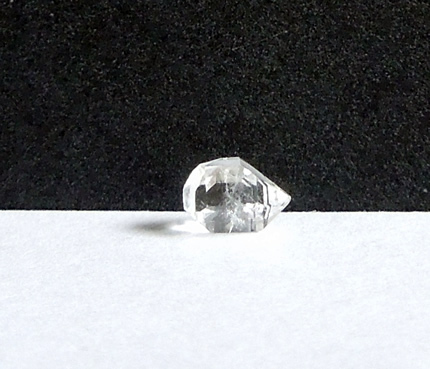 Pictures above of the 8.5x4.75 mm penetration twin quartz. 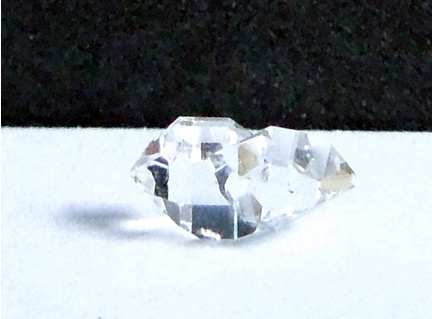 The other specimen is pictured below. 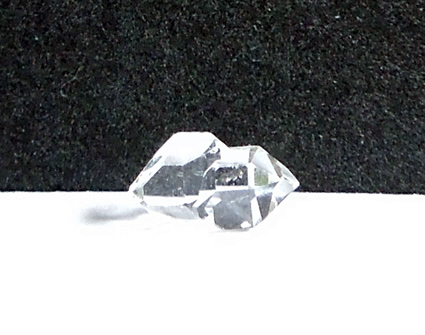 Contact twin - 6.25x4.5x3.75 mm / .58 ct. 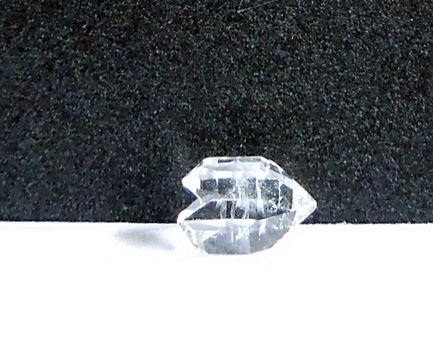 Penetration quartz - 8.5x4.75x4.5 mm / .86 ct. 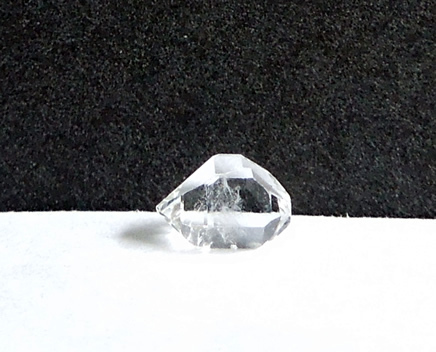 Both Herkimers are well defined and water clear. 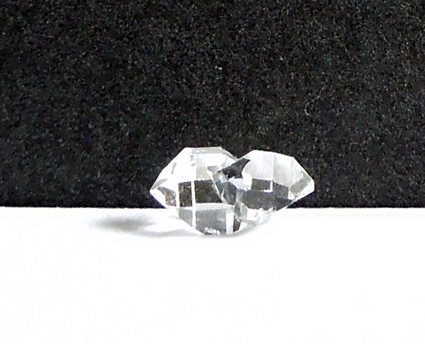 It's a sweet pair of twin quartz crystal specimens. 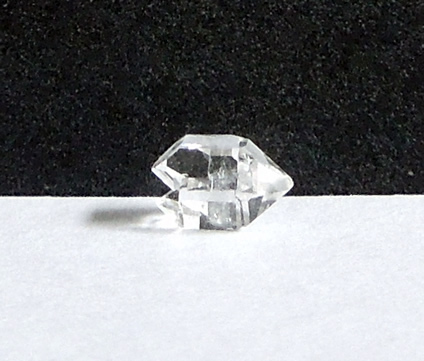 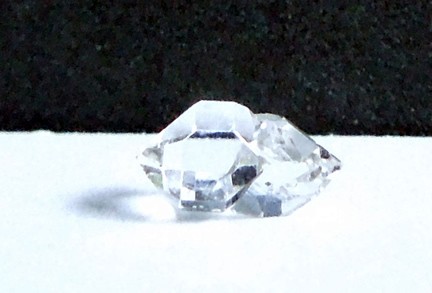 Pictures below of the 6.25x4.5 mm contact twin quartz crystal.